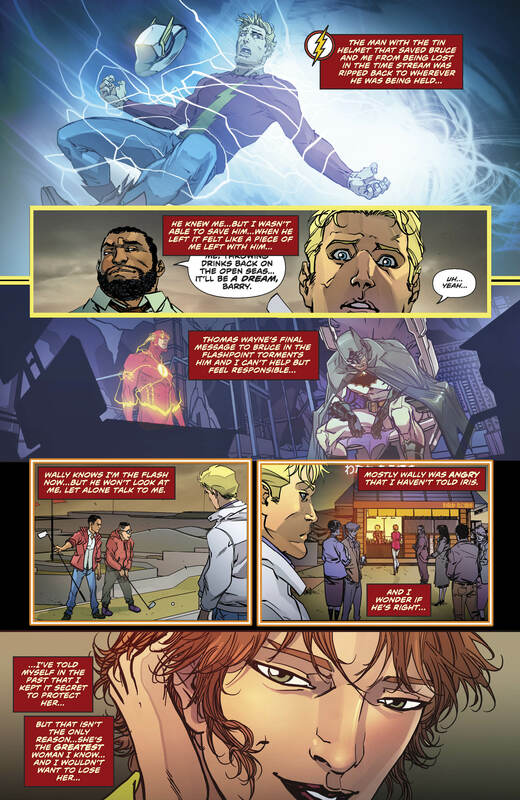 None of us could've imagined the cop-out that The Flash #23 delivers. If anything, this issue cheapens everything that happened in "The Button." Now that “The Button” is over, you’d imagine the events that transpired would’ve had a major effect on the DC universe. Judging by The Flash #23, it’s a mixture of both yes and no. Look, there’s still reference to the previous arc here, but there’s also a humongous cop-out that frustrates beyond measure. More on this below. 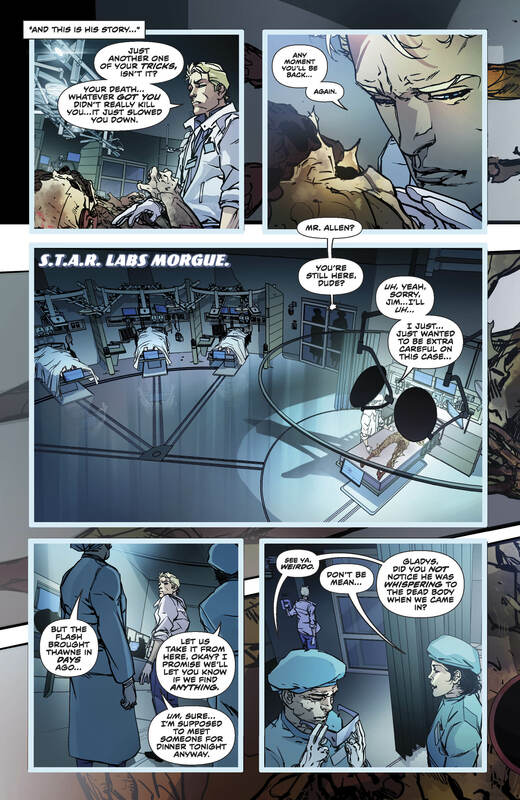 As has been the theme in the issues released over the past few weeks, an old friend makes a significant appearance in a ‘Brave and the Bold’ type of mould. 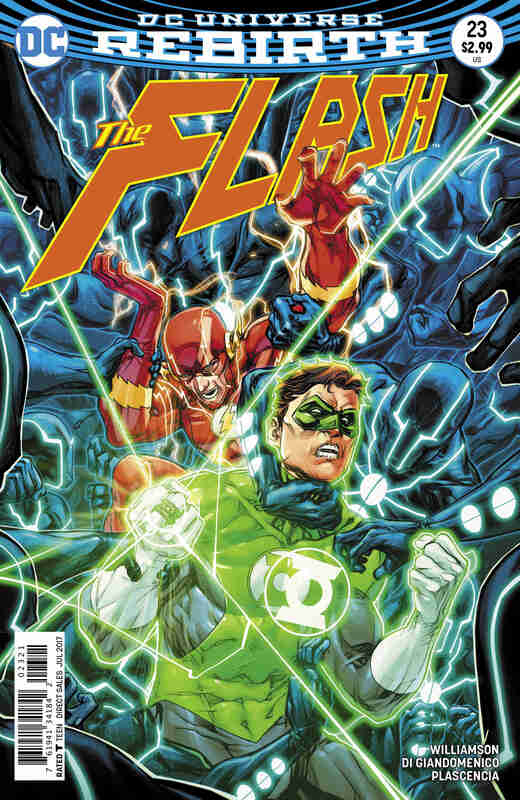 In this book, it’s Hal Jordan (Green Lantern), who pops by for Barry Allen’s birthday and ends up helping him shoo away the creepy Multiplex from stalking a poor lady. 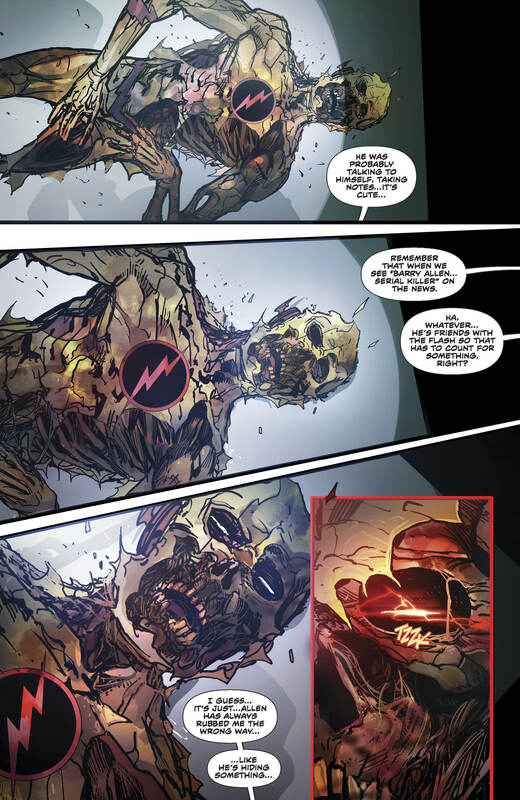 The biggest (and most controversial) moment of the story, though, is the surprising return of Reverse-Flash. Ahem, the guy who died in “The Button,” twice. Let’s get to the positives of part one of “Color of Fear” first. Bringing Hal into the mix proves to be a good move by Joshua Williamson. 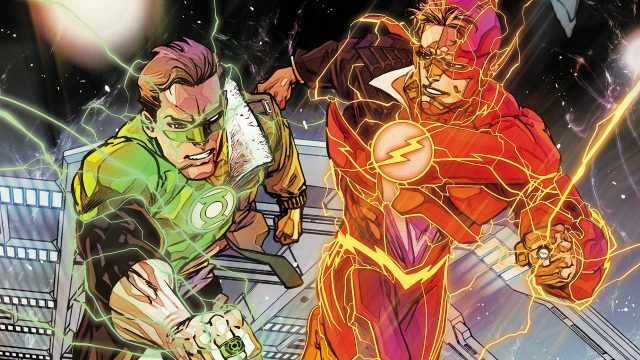 Everyone knows that Hal and Barry have terrific chemistry in their team-up adventures, and it gives the Flash a welcome break from teaming up with speedsters. Additionally, watching Barry struggle to tell Iris about his superhero career makes for a compelling subplot. Whether he finally does or doesn’t is anyone’s guess, but it’s at least causing some tension between the two of them. 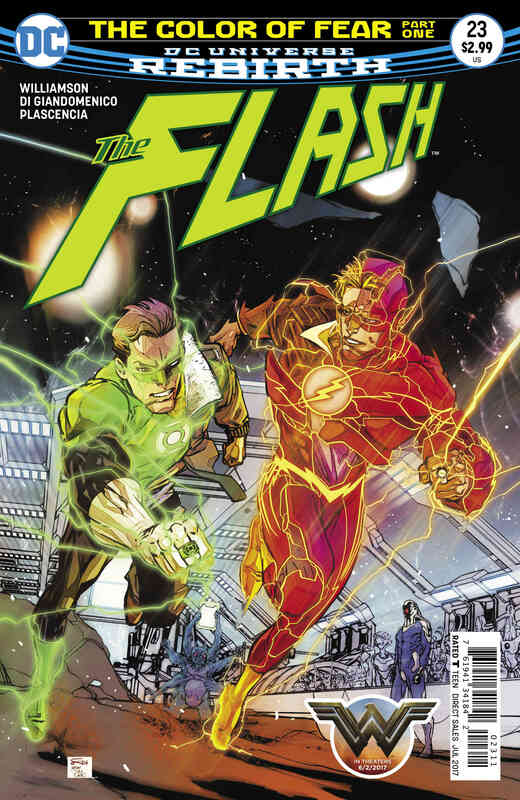 On to the negatives, and there’s only one, but it’s a big one: the story arrives too soon after “The Button.” While comic books and soap operas share the common trait that no one stays dead forever, Reverse-Flash’s sudden revival cheapens the events of the previous arc. Yes, we knew that he was coming back at some point, but did it have to be right now? Even if he isn’t whom he claims to be, his appearance is premature and unnecessary. Unfortunately, this is a mark of sloppy storytelling. If a character can’t even stay dead for a prolonged period of time, why should we believe the stakes will ever be as high as the stories claim them to be? Deep down, we all know the basic outcome of any narrative, but it’s up to the writers to convince us otherwise. At this moment, I don’t buy into anything here. 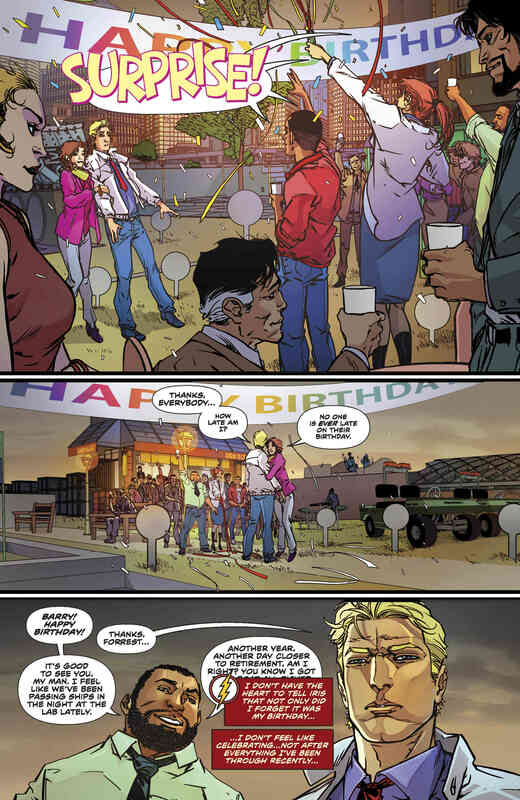 On the art front, Carmine Di Giandomenico takes over the pencils and produces the same rough, unpolished work that we’ve come to expect from this series so far. I must admit that I wasn’t a huge fan of the style initially, but it has grown on me and now epitomizes the modern-day version of the Flash. It isn’t spectacular by any means, but it’s okay and achieves what it sets out to do. 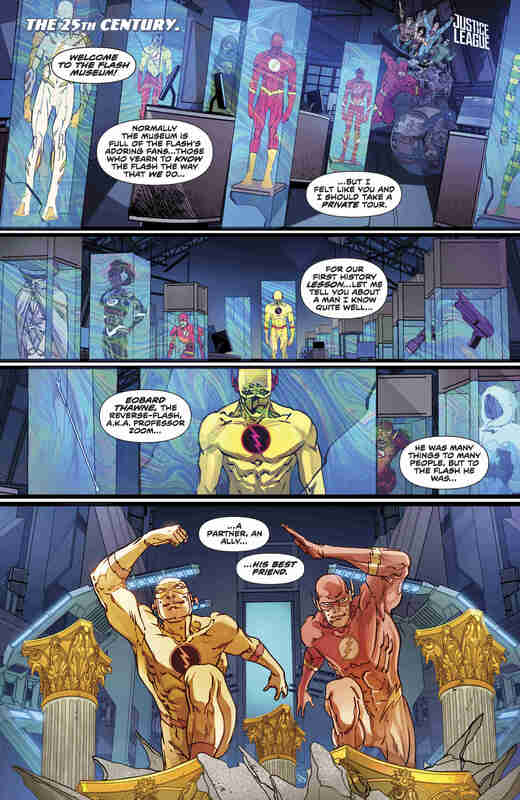 If The Flash #23 had been released several months from now, it would’ve made a huge splash and had us all geeking out over Reverse-Flash’s return. Right now, though, it’s one painful eye roll of an issue. Sure, “The Button” didn’t quite quench our thirst for Rebirth’s answers, but at the very least the events should’ve had some lasting (or semi-permanent) consequences. Here’s some advice for DC and its writers: when you make a decision, commit to it for at least 12 months.